Mt. 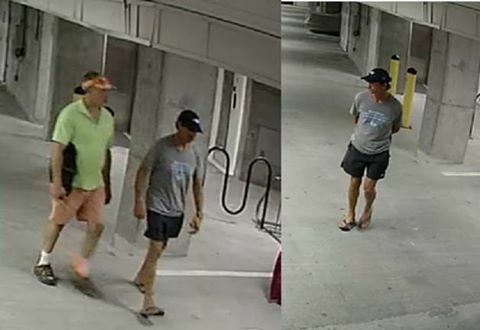 Pleasant PD looking for two suspects who stole bicycles and fishing gear at the Tides parking area | Crime Stoppers of the Lowcountry: 554-1111 | 1-888-CRIME-SC | Anonymous tips earn cash rewards with Crime Stoppers of the Lowcountry. Anyone with information about this suspect is asked to call Pfc. Reynolds at 843-884-4176. Callers who wish to remain anonymous can call Crime Stoppers at 843-554-1111, submit a tip through our smartphone application, or submit a tip at http://mppdnews.blogspot.com/p/submit-tip.html. Crime Stoppers offers rewards of up to $1,000 to anyone who provides information which leads to an arrest.